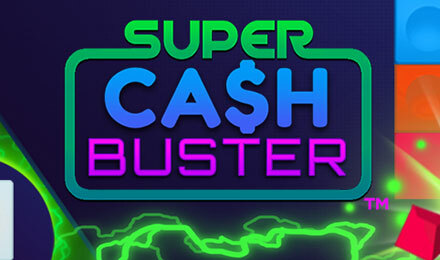 Start demolishing the Cash Buster Zone for a direct impact on the prize table and your bankroll in Super Cash Buster! Things are about to get crazy on this game! After IWG first introduced Cash Buster, they brought an even better version now called Super Cash Buster. Super Cash Buster is an instant win slot game that requires you to roll a dice. After the dice has been rolled, its displays colours. The blocks of the corresponding colours are all destroyed in the Cash Buster Zone where instant rewards are hidden beneath them. When blocks are destroyed, slots in the prize table are filled, after they are completely full, the prize displayed is all yours!